Public Safety DAS – Where do I start? Public safety communications are obviously an important part of first responder’s ability to perform their duties. Wireless technology plays a critical role in support of these efforts and for new building construction, National and International Fire Codes mandate specific Public Safety communications requirements are met. At ADRF we are dedicated to supporting public safety and first responder individuals who require critical mobile communications, by providing in building solutions that meet specific mandates as designated by these codes as well as state and local municipality requirements for building occupancy. Although, we recently launched a new NFPA 72 2016 Code-compliant VHF/UHF and Public Safety 700/800 MHz Distributed Antenna System (DAS), ADRF has been participating in public safety-centric conferences and webinars since early this year as well as throughout 2016. These great events have brought us closer to the public safety community by meeting with first responders, local authority having jurisdiction (AHJ) AHJs and building owners and managers. Q: As a building owner, what is the best way to become more knowledgeable of public safety coverage? A: We recommend that building owners and managers form relationships with local AHJs, equipment manufactures like ADRF and experienced system integrators who can provide guidance on in building public safety requirements. Q: Are ADRF’s solutions “First Net” ready? A: At this time, there has not been any specific guidance on specifications for DAS and repeaters, however, ADRF’s innovative DAS and repeaters currently support 700MHz LTE and are proven solutions to make buildings safer and deliver truly mission-critical wireless services. We will continue to monitor any new requirements in support of the First Net network by updating our current line of modular indoor and outdoor solutions. Q: I understand that requirements for public safety DAS solutions vary by state and even by county, but what are some system features that ADRF has noticed across the country are being favored by local municipalities or building owners? 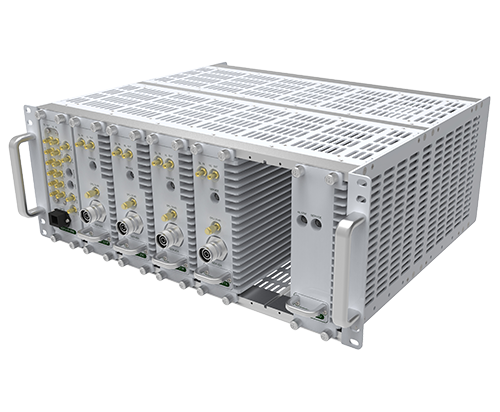 A flexible DAS architecture to allow any combination of VHF/UHF, Public Safety 700/800MHz including FirstNet, as well as all commercial cellular frequencies from 700-2600MHz. ADRF is at the forefront of providing code-compliant wireless solutions and we will continue to meet with local authorities, first responder’s and building owners to ensure we work within this public safety community and continue to meet their needs. Click to learn more about ADRF and Public Safety. Also, listen to the recorded session of RCRWireless Public Safety Webinar. Simply Incredible. Incredibly Simple. Click to Learn More.